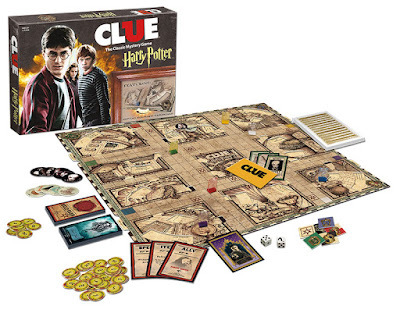 The Harry Potter Clue board game has been released again!!! I don't like to overuse exclamation points but this is a case where they are definitely required. If you are one of the many who have played the original version of this game and then been disappointed to find that you could not readily buy it, you are in luck! The game, which was re-released in 2016 by USAopoly, is currently readily available on Amazon by clicking right here. I foresee this game being a HOT ticket for Christmas 2016 since millions of Harry Potter fans are rabid for more Harry. If you haven't played it yet, you have missed out. It is a family favorite at our house. Take my word that you cannot go wrong in gifting this game to any Harry Potter fan. 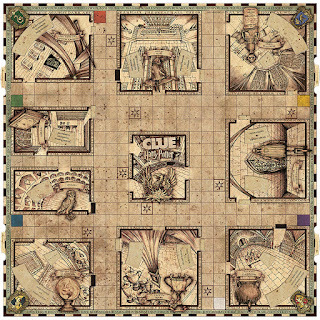 The game is even fun for non-fans though of course they will not truly appreciate the additions to the original Clue game. Want to know more? Read my review of the first Clue Harry Potter Edition game here. If you have played it, then you know you NEED to own this board game. How about it? Can you also recommend this game? Or do you need to try it for yourself? 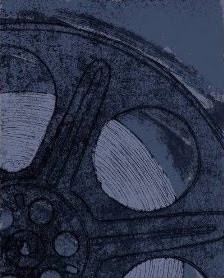 Want to buy it? You can find the Clue Harry Potter Edition (2016) USAopoly game on Amazon by clicking right here. 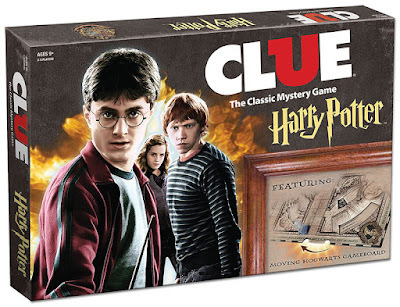 This Clue game looks like an absolutely perfect family gift for Harry Potter fans! This is fabulous news! Our family would love this game. I know my mother would even want to play this game with her grandson. They are both huge Harry Potter fans. Fabulous, simply fabulous!!! Thanks for visiting, ladies. This is one game that landed in our keep forever pile when we were sorting games when our boys grew up. How fabulous that the Harry Potter CLUE game has been re-released. I can see it will become very popular with fans of both board games and Harry Potter. I agree, Pat! Thanks for visiting!